Leadership at +Heiser Toyota Scion! This month we recognize our Heiser Toyota Manager, Joe Vicari. He is known for his dedication and extensive knowledge in the service department. Customers always feel comfortable with Joe and know they are in the good hands of an experienced professional. 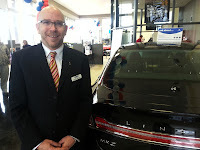 I walked into the dealership and was immediately greeted with a smile and taken care of by Service Manager Joe Vicari. All employees went above and beyond any expectation I had. I was taken care of by the best. My whole experience at the dealership really made me feel important. Everyone, including the cashier, was so friendly! I definitely would recommend this dealership and I will come back. Joe joined the Heiser family 40 years ago. 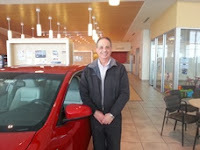 He has held just about every role in our service department as well as a few in sales. Thus, he understands the challenges and rewards of the various jobs at Heiser and works hard to make sure processes run smoothly. From the moment a customer purchases a vehicle to the day they follow-up with maintenance service, Joe is there to answer questions and make recommendations. One aspect of the job Joe enjoys is solving problems. He can help turn a tough situation into a positive one. Vehicle repairs cause stress, yet every customer should understand Heiser’s commitment to getting things fixed right the first time and quickly. Joe makes sure customers are treated with respect. As a result, his staff receives high marks in reviews. Outside of the dealership, Joe is an avid outdoorsman. He also enjoys spending as much time with his family as he can. You’ll find him working outside in the yard or prepping his boat to keep it in top condition. 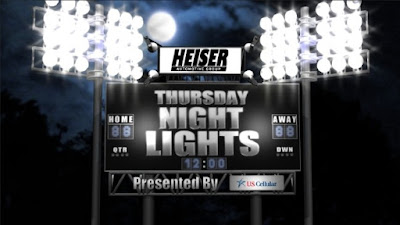 We invite you to email Joe with your comments or questions: jvicari@heiser.com. Promising continued gains in fuel economy, Toyota provided some advance information on the next generation Prius at a recent global hybrid event in Michigan. The next-generation Prius will begin a “new era” of substantially improved hybrid powertrains for Toyota and Lexus vehicles, said Satoshi Ogiso, Toyota Motor Corporation managing officer. He said the company was also working on improvements to the next-generation Prius Plug-in model, including a longer electric range and possibly wireless charging from a coil on the ground in a garage or parking space. Toyota will begin testing the wireless system in the U.S. next year. Work is also progressing on Toyota’s first commercially available hydrogen fuel cell vehicle. Ogiso said a mid-size concept sedan will make its North American debut in January at the 2014 Consumer Electronics Show. August capped a great summer for new vehicle sales, Toyota Division Group Vice President Bill Fay said, resulting in Toyota Motor Sales’ (TMS) best month in more than five years. TMS reported sales of 231,537, an increase of 22.8 percent over year-ago figures on a raw volume basis. Toyota Division continued to be the No. 1 retail brand for the sixth consecutive month with sales of 201,745 units. 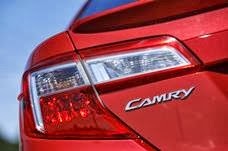 •Camry remained the best-selling car in America with sales of nearly 45,000 units. •Prius family sales posted best-ever August results of 27,358, up 29.6 percent. •All-new Avalon posted triple-digit gains (254.4 percent) for the sixth consecutive month. •Combined pickup truck sales of more than 26,500 units resulted in the best month in five years. •All-new RAV4 sales reached 23,502 units, up 49.8 percent. •Tacoma led truck sales with 15,223 units, up nearly 25 percent. Executives expect next month’s results to continue the sales increase momentum. September also marks the first full month of sales for the all-new Corolla and Tundra. If you bought a Toyota Corolla last month, your new car just might be the 40 millionth Corolla ever sold. It's not about the number, but the number sums it up: Happy customers have made Corolla the best-selling automotive nameplate in history. The Corolla was originally designed to meet the changing needs of Japanese commuters in the mid-1960s. When the first Corolla rolled off the line, many automakers offered basic safety features as optional. The Corolla was among the first car lines to include rear back-up lights as a standard feature. 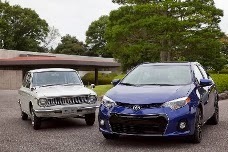 And Toyota’s history of evolving the Corolla to meet customers’ needs remains alive today. The base L Model of the new Corolla comes standard with LED headlights, Bluetooth, eight airbags and Toyota’s Star Safety System™. For those families who are looking for better fuel efficiency, Toyota recently announced upcoming production of a Corolla hybrid. Toyota’s commitment to adding new standard features to the affordably-priced Corolla over time has helped ensure that families around the world continue to choose it more than any other nameplate. Osamu Nagata, the troubleshooting Toyota executive who now heads North American manufacturing and Research & Development, is on a mission to boost capacity and do it quickly—first by expanding existing factories and then probably adding an assembly plant soon after. Rebounding from the 2011 Japan earthquake, Toyota is ready to go on the offensive. “We need to catch up with market growth,” Nagata said in an interview recently. “I am responsible for producing more.” The 56-year-old Japanese executive, who goes by Simon, is also spearheading the North American rollout of Toyota’s radical effort to overhaul product development and communize parts. · 200 miles of driving on varying roads to test each sedan for real-world fuel economy. · One day of round-robin driving where each expert tested each sedan on the same route back-to-back to gather impressions. · Testing by a car shopper representing the average full size sedan buyer for overall comfort, features, styling and drivability. 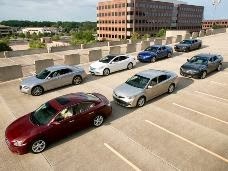 "Although full size sedans aren't the biggest sellers, they are still an overall impressive group of cars," said Olsen. "Full size sedan buyers tend to stay loyal to the segment, so automakers continue to innovate and update these sedans to meet the needs of their drivers. This segment's challenge was particularly interesting, because so many redesigned or all-new entrants were tested." If the new-car market is a Big Mac, full-size sedans would amount to only the sesame seeds. They're a sliver of the auto market, accounting for just 3.5% of new-car sales in the first seven months of 2013. Still, automakers believe in big cars. Seldom does a comparison see so many redesigned or new entrants. From April 2012 to April 2013, four new or redesigned full-size sedans hit dealerships, including the Avalon. Through the first seven months of 2013, those four nameplates accounted for nearly half of full-size sedan sales.